How to fix your KitchenAid Stand Mixer. If you are having problems with your KitchenAid stand mixer, here are some ways to troubleshoot the issue and repair it yourself. The beater attachment and the bowl need to be connected properly for the unit to operate. If the beater blades hit and vibrate the bottom of the bowl or side of the bowl they will need to be readjusted. When your mixer will not start, you may have a motor that has overheated as the mixer motor is thermally protected. An electrical issue such as a reset GFCI outlet or electrical breaker may also be causing the problem. 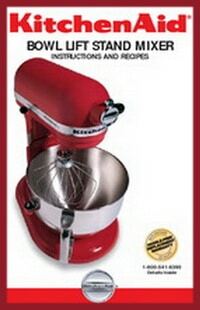 Here is a KitchenAid Stand Mixer Troubleshooting page if you need further assistance. Check that the mixer is plugged in. 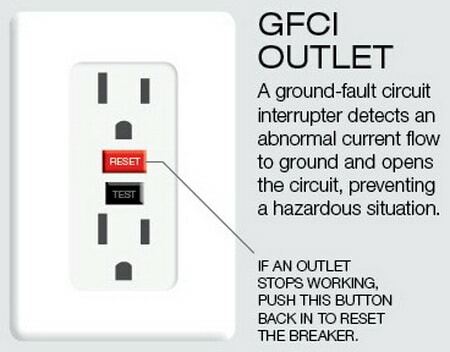 If the outlet the mixer is plugged into is GFCI, check to be sure it is not reset. If the mixer is plugged in and the GFCI is not reset, check the breaker for that outlet. If you determine the mixer is getting power, the issue may be the cord on the mixer is damaged or an internal part inside is faulty. The speed control plate could be faulty, the mixer phase control board may be bad, you may have worn carbon motor brushes, or the wiring inside the mixer could be damaged. If needed take the mixer apart and check the parts and components we have listed. NOTE: The motor on your KitchenAid mixer is thermally protected. If it overheats, the motor will temporarily shut down for safety reasons. Wait around 15 to 30 minutes if you suspect this has happened. 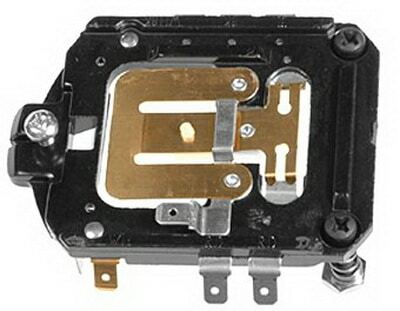 Below are some electrical and motor parts for your KitchenAid stand mixer that may be needed. Check the adjustment of the bowl clearance. 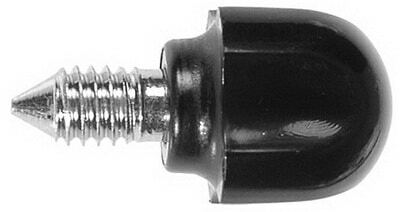 To raise or lower the bowl, turn the flat head screw that is located under the head portion of the mixer. Turn the screw clockwise to lower it and counterclockwise to raise the bowl. Also adjust the height of the mixing bowl so the beater will not hit the bottom or the sides of the bowl. 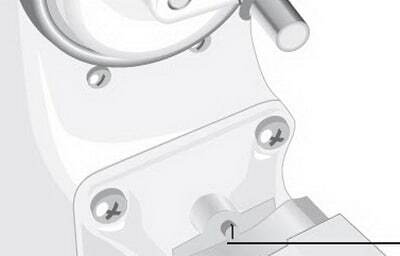 If the pivot pin is not centered and secured, try centering the pin. Turn the mixer onto its side and tighten the screw underneath the mixer to secure the pivot pin. The most common reason for your KitchenAid mixer to work but make loud internal grinding noises is a worn worm gear. You could also have an issue with the transmission in the mixer. 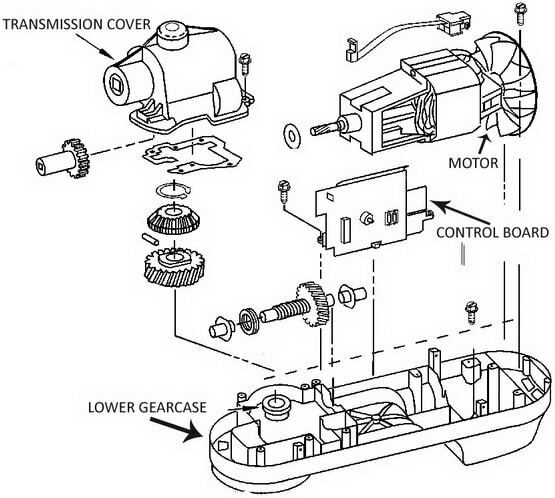 To replace the worm gear or transmission on your mixer, it needs to be taken apart and removed and replaced. 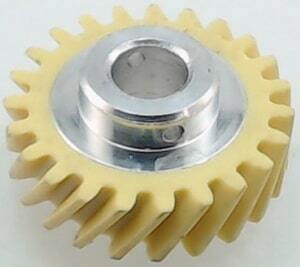 Below is the worm gear part for your KitchenAid stand mixer that may be needed. Below are KitchenAid Stand Mixer Repair Manuals in PDF. 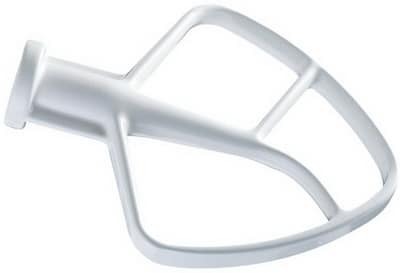 Click one of the images depending on if your KitchenAid Stand Mixer is 4.5, 5, or 6 quart. – Unable to get the head to lock open or closed. – Mixer is slow to work and cannot whip or mix. – Vibrates and beater hits bottom of bowl. 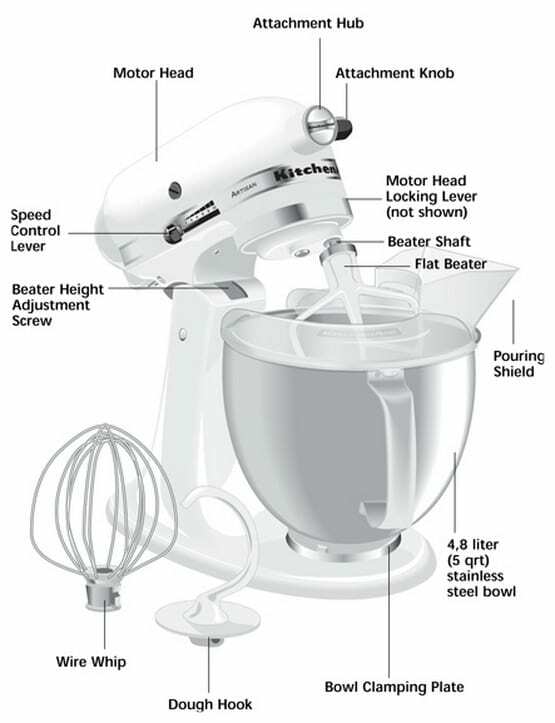 Here is a KitchenAid Stand Mixer Troubleshooting page if you need further assistance. have not listed above, please leave a comment below and we can assist. KItchenAid K5SS mixer. Using it… worked fine. Then turned back on and stopped working. Motor is not working as if no power but plug and all are fine. Flicking switch off and on several times there is a short burst of motor engagement then stops. Checked brushes… look good. Dusted off parts inside the back housing… no difference. I replaced the plastic worm gear. I tried the mixer before replacing and it would run but not the planetary gear. When I disassembled the head, the worm gear was worn. I replaced the worm gear and reassembled the mixer. When I turned on the mixer, it wouldn’t turn on. I checked the incoming voltage to the speed control plate and had 120V to the motor. I cleaned the contacts to the disconnector at the bottom of the speed control plate and had 120V to the other side of the contactor bar. I checked voltages to the wire connectors on the speed control plate for the phase control board and didn’t get any type of voltages through out the speed switch manipulation. I can’t understand why the motor would run before the repair then all of a sudden something in the control circuit would go bad. What is the most likely problem before having to swap until I drop? Gary’s problem is the alignment/positioning of the brushes. I just did the same repair for the third time over the life of the mixer and this is the first time it would not turn on afterwards. The brushes are both at 15 cm, which doesnt seem to be too worn and it worked before the worm gear change just fine. My mixer is over 20 years old and it has square to put the brushes into, there is no notch or cut out, etc… so you CAN position them wrong as opposed to what I’m reading everywhere. Is there a standard position for them? My KitchenAid Artisan stopped working. When turned on it made no sound whatsoever. I found nothing on YouTube with my specific condition, so I guessed it was the KitchenAid Mixer Phase Control Board and bought a new one. Though the mixer still did not work after replacing the phase control board, I’ll never know if that was the problem because, for whatever reason, I removed the brushes to clean them and obviously put them back in wrong. I bought and replaced the speed control plate and the governor assembly (the governor assembly since I already had the unit apart). The unit still did not work. I rearranged the brushes and the unit now works just fine. Thank you kindly! My kitchen aid stand mixer is leaving a brown oily liquid under it. When you turn it over you can’t see where the liquid is coming from. The mixer works well although I don’t think the beater scrapes the sides very well. I have a KitchenAid Professional 600 mixer. When I turn it on the low speed, it starts and then goes to high speed and runs high for approx. 3 seconds and then cuts out. (Turns off). Previous post: What Causes LED Light Bulbs To Flicker & Dim At Random Times?